Looking for a new processor? 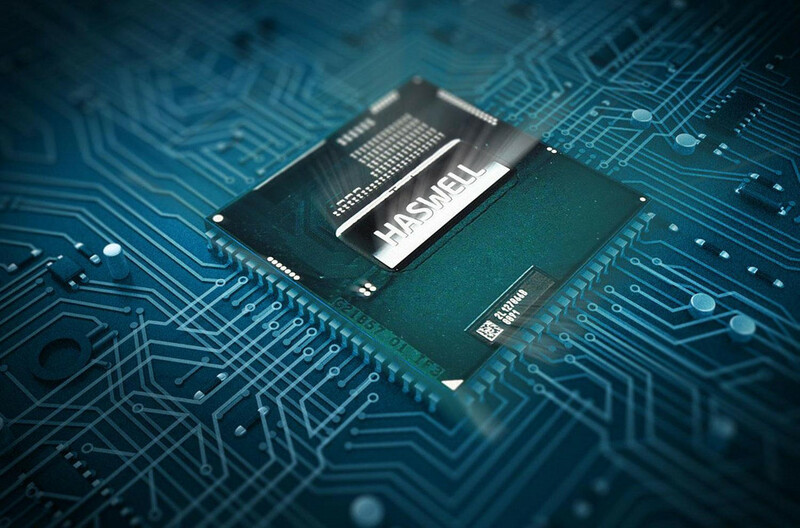 Paul Urquhart has everything you need to know about Intel's latest line-up, the Haswell Refresh range. As someone who has upgraded their CPU more than a few times in the last couple of decades - I lost count after 20 or so - let me assure you that choosing a new one is never an easy task because there are always so damned many of them to choose from. If you are in the market for a new processor at the moment, we may be able to help as Intel recently sent us a couple of chips to review. We decided the most useful thing to do would be to put them all through a whole bunch of tests to determine what sort of performance you can expect for your money, and if it’s worth spending more on a better processor or whether the cost of diminishing returns comes into play. 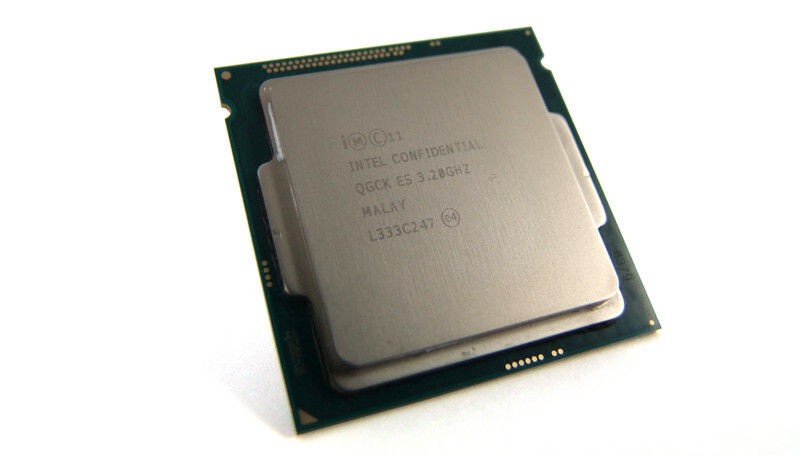 The two chips Intel sent us are the low-end Pentium G3258 and the high-end Core i7-4790K. Conveniently, we also had a mid-range Core i5 4590 available to test as a midway point between the two. These all come from the ‘Haswell refresh’ lineup of processors, which work on Intel Series 8 and 9-based motherboards, aka Socket 1150. They are all manufactured on a 22nm process and replace the old Haswell lineup based on the same microarchitecture - so they are essentially the same products just with different speeds and price points. Before we get into the tests, a brief introduction of each CPU. Over 21 years ago on March 22, 1993, Intel released its very first Pentium processor. To mark the occasion - 21 is as good as any other number to celebrate, I guess - they released the “Anniversary Edition” range of Pentiums, including this G3258. This chip is about as stripped-down as you can get. 3.2GHz is a healthy operating frequency, however it only has two non-HyperThreaded cores and a measly 3MB of L3 cache which will hamper performance in intensive applications. It also lacks a lot of modern instruction sets such as AVX and AES-NI, although if you are shopping at the bargain end of the spectrum (or if you don’t even know what those acronyms mean) then you probably don’t need these features anyway. On the bright side, it costs lass than $100 and it has an integrated graphics processing unit, plus it is rated to only draw 53W so would be perfect for a low power HTPC build or a basic student’s computer. There are also many reports online of it being a fantastic overclocking chip, no doubt helped by having an unlocked multiplier. Anecdotally it seems that 4.4GHz is possible with stock voltage, but you will need a Z87 or Z97 motherboard to get the most out of it, so budget at least $150 to $200 for one of those boards. This 3.3GHz quad-core chip replaces the older Core i5-4570 which was identical other than it ran at 3.2GHz instead, and sells for a similar price of approximately $270. 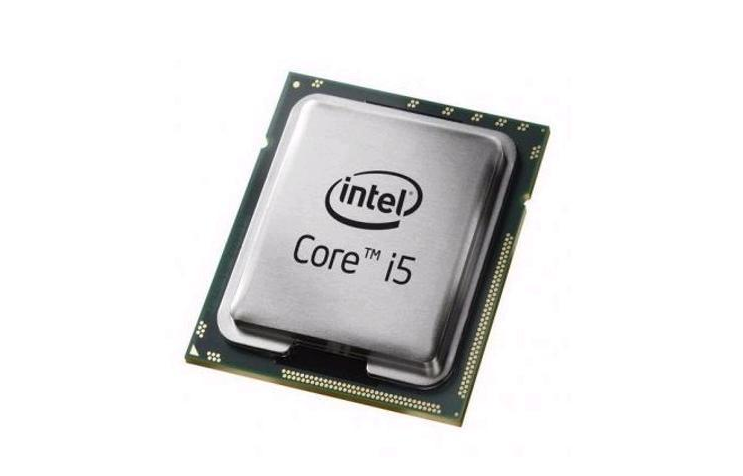 Compared to the Pentium, the Core i5-4590 is a much more fully-featured chip. The four non-HyperThreaded cores can individually operate at up to 3.7GHz if they are not all being used at once, and share a larger 6MB L3 cache. It also has support for newer instruction sets such as AVX and AES-NI, but draws more power being rated at 84W. Being a non-K version processor, don't expect to overclock this chip much if at all due to its locked multiplier. 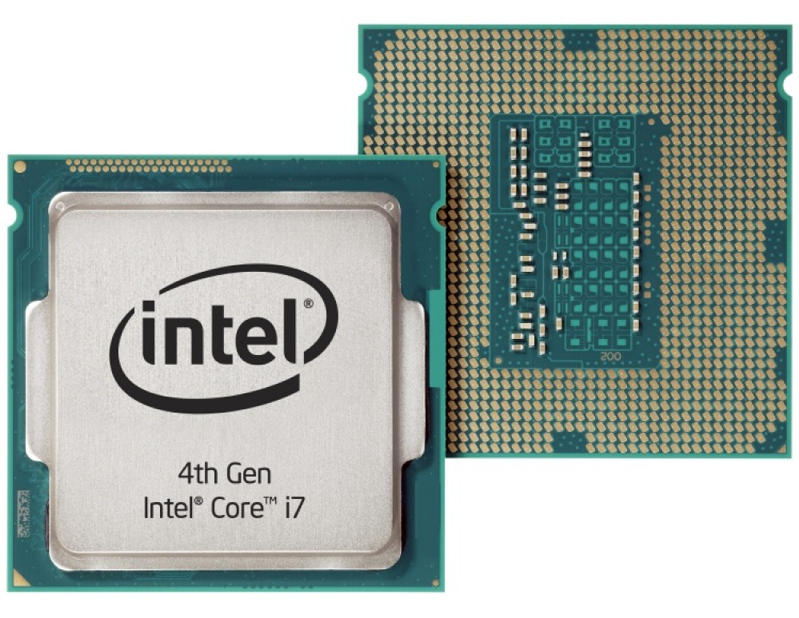 In addition to the refreshed Pentium and Core-branded chips described above, there are also new “Devil’s Canyon” models such as this Core i7-4790K. This subset of processors has two notable features - a new thermal interface material to improve cooling characteristics, and additional capacitors on the underside of the chip for smoother power delivery. The other selling point for the 4790K specifically is a base clock speed of 4.0GHz - Intel’s first desktop quad-core to reach this mark - and a max Turbo speed of 4.4GHz. Of course being an i7 model it is also HyperThreaded, for a total of 8 processing threads, and being a ‘K’ variant provides an unlocked multiplier for easier overclocking. The price tag isn’t too steep either at around $450. One presumes the $1000-plus top-end chips will be confined to Intel’s new enthusiast platform, Socket 2011-3, or Haswell-E.
Our test system consists of a Gigabyte Z87-HD3 motherboard and 2x2GB of DDR3-1600 CL8 Kingston memory running Windows 7 Professional 64bit. The following table is the raw results of each test that the processors were put through. That might just seem like a bunch of meaningless numbers to a lot of people so to make sense of the table above, we’ve also normalised the middle CPU’s results (the Core i5-4590) to 100 percent and provided a delta comparison to the other chips. The key to interpreting this chart is to remember that the Pentium costs approximately two-thirds less than the Core i5-4590, and the Core i7-4790K costs two-thirds more. Does each chip provide two-thirds less or more performance, respectively? The answer, mostly, is no. In heavily multi-threaded applications such as Cinebench image rendering, 7zip file decompression, and x264 HD video encoding, the 4790K really excels, pumping out at least 50 percent better results than the 4590. The gaming tests, however, only gain around 3 percent to 6 percent more performance. Overall, the 4790K delivers 34 percent more performance than the 4590 for 67 percent higher price. Looking the other way, the Pentium appears to significantly lag behind in all tests. But to put this into perspective, it’s delivering 59 percent of the performance of the 4590 for 35 percent of the price. Not bad. As often happens in these kinds of shootouts, when trying to figure out which product is the best, the answer is “it depends” - specifically, it depends what you want to use the CPU for. If you want to be able to play recent games at playable framerates (albeit low image quality for the most part) without having to buy a separate graphics card then it’s clear you want to avoid the Pentium and go for a Core model, and if you want to do aggressively demanding multithreaded productivity tasks then splash out on the i7 variant, otherwise the i5 will do just fine. Personally, I’ve been using a Core i5 CPU similar to the 4590 for over a year now for a variety of demanding tasks and it has suited me just fine. The results seen here just re-confirm for me that the Core i5 series is the best bang for buck. Long may it continue. Correction (10/09/2014): An earlier version of this article mistakenly suggested that the Core i5-4590 CPU had significant overclocking potential. As it is not a K-series CPU, that statement was incorrect. The text has been amended.